San Jose's annual "Christmas in the Park" celebration is slated to open on Nov. 25, the day after Thanksgiving (Nov. 12, 2016). With the holiday season just around the corner, organizers are working in earnest to make sure a popular South Bay celebration kicks off without a hitch. 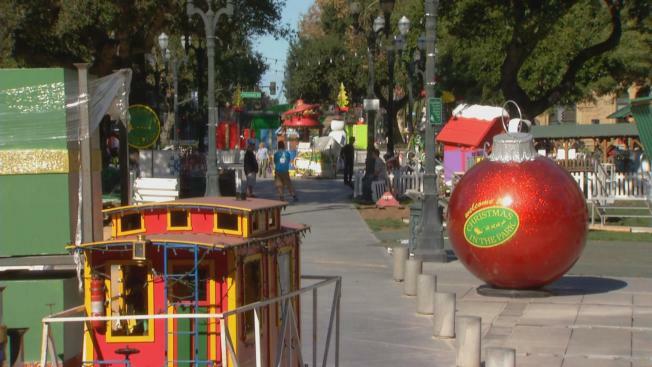 "Christmas in the Park," an annual holiday festival held in San Jose's Plaza de Cesar Chavez, will once again treat visitors to a wide display of decorated exhibits, festive tunes and cheery shows beginning Nov. 25, the day after Thanksgiving. Roughly 260,000 volunteer hours are needed to put on the event, which has been treating crowds for over 30 years, organizers said.